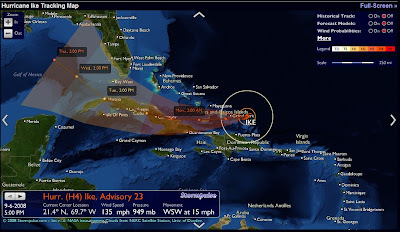 Stormpulse - The most beautiful way to track storms ~ Android Forever! Living in the target-zone of hurricanes is exciting this time of year. Remember 2004? That was the year I was in the path or three major hurricanes. So I spend a fair amount of time checking on the latest paths of Atlantic storms prophesied by those in the know. Of all the web sites I've seen, this one is the coolest.